We are almost exactly 30 years on to the day from likely F1's most devastating single blow ever being delivered. 23 March 1988 was the date that the McLaren Honda MP4/4 debuted on-track. The very last day of pre-season testing, just nine days before opening practice of the first round. And the blow was as devastating as it was late and sudden. The car was immediately far quicker than all rivals that had been pounding around all winter. 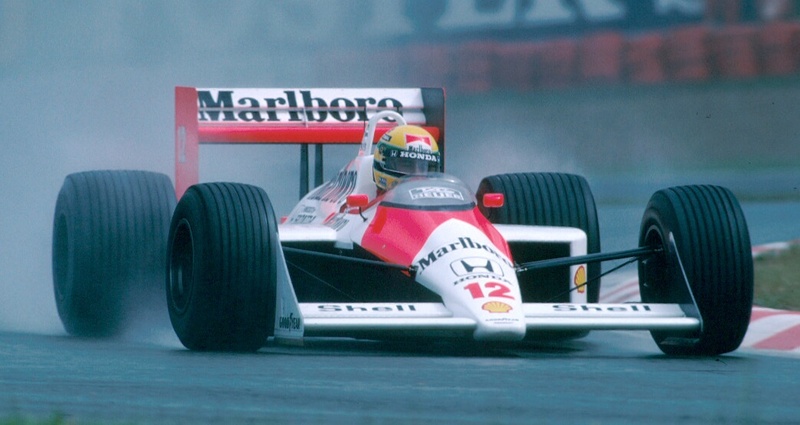 We know what happened next - 15 Grand Prix wins out of 16 for Ayrton Senna and Alain Prost that year. But up until that later than late on-track bow there was nothing inevitable about it; for the MP4/4 things could very easily have been very different.